Farro can now be found in any local grocery store. It also can be used interchangeably with Barley. 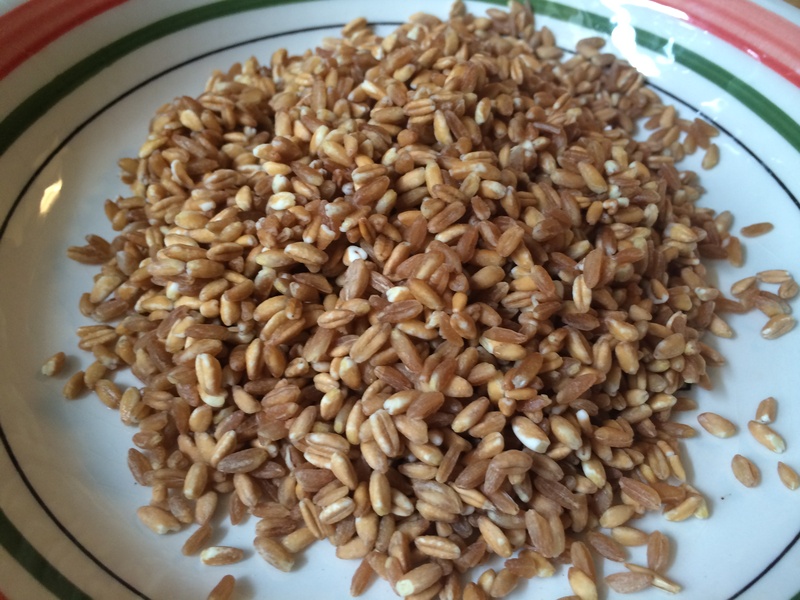 Farro has a nutty texture and usually requires soaking in water before cooking. You want to cook farro similar to how you cook pasta, al dente. I’m going to add a few ingredients to the Farro to kick it up a bit; The Farro will act as a bed for my Oven Pan Roasted Pork Loin. I’d better get started. I’ll post the finished dish later and let you know how Steve likes farro. I received some great news, a long time friend of mine Beth has opened Beth’s Burger Bar. I found out today I’ve been invited to go and see how the burgers are made and take some pictures too. I’ll be hanging out with Jerry, the general manager, and owner Beth, so excited. I’m sure I’ll have a lot to talk about next week. Measure 2 cups of farro into a fine mesh sieve and rinse with cold water. Drain. Transfer to a medium-size saucepot that has a lid. Add the water or broth and salt. Bring to a boil over high heat. Reduce the heat to low, cover and cook for 25-30 minutes until it is softened but still chewy, al dente. 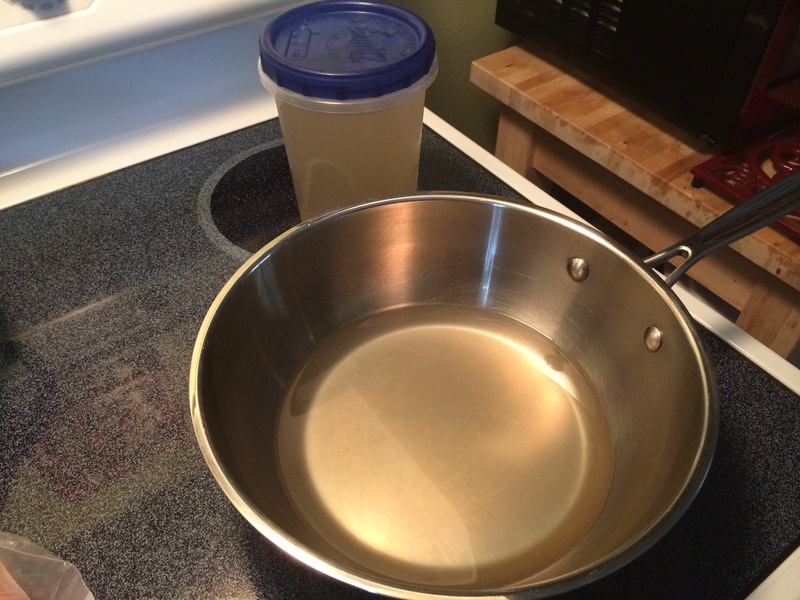 If there is still liquid remaining in the pot, drain it off. Place the farro back into the same pot. 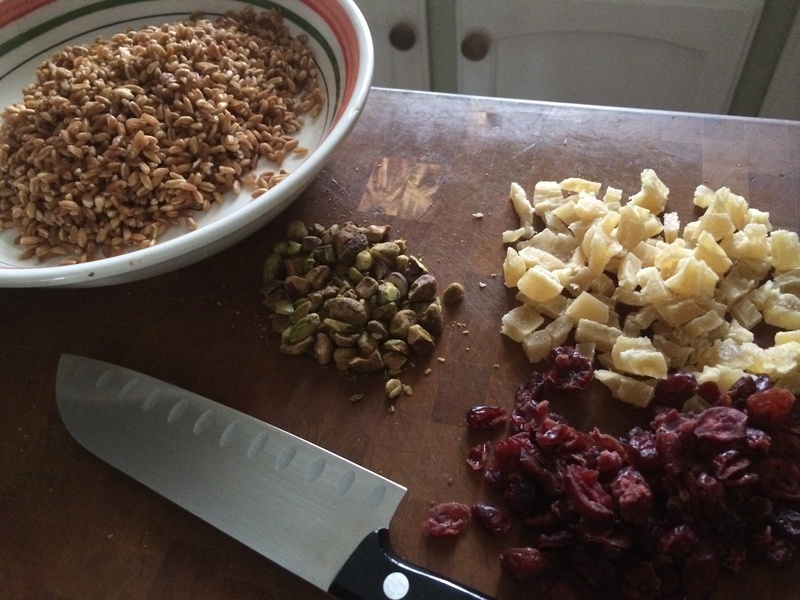 Add the cranberries, dried pineapple, chopped pistachios, and olive oil or butter if using. Use a fork to gently fluff the ingredients through the farro. Transfer to a serving bowl.